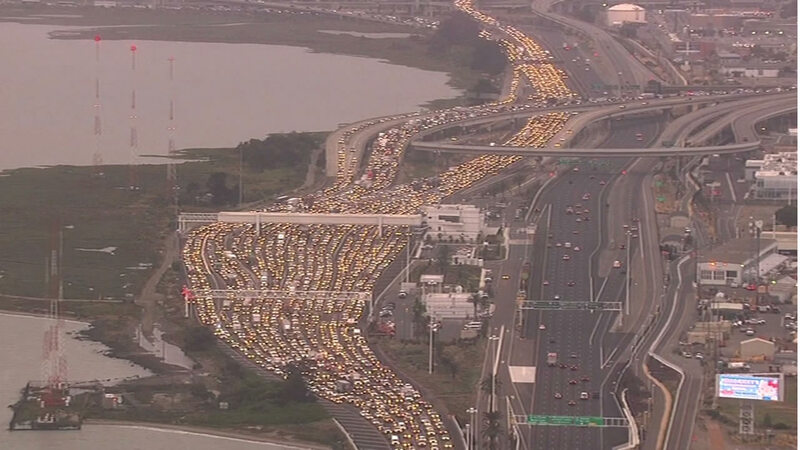 OAKLAND, Calif. (KGO) -- Commuters using the Bay Bridge to get into San Francisco faced delays of over an hour following a multiple vehicle accident that blocked three lanes during the morning commute on Wednesday. The California Highway Patrol issued a Sig-alert due to the crash that involved the three vehicles. One vehicle may have been speeding prior to the accident. There were no injuries reported. A separate vehicle fire near the Toll Plaza was reported, but it was not on the bridge and not related to the accident. The crash was first reported at 5:34 a.m.